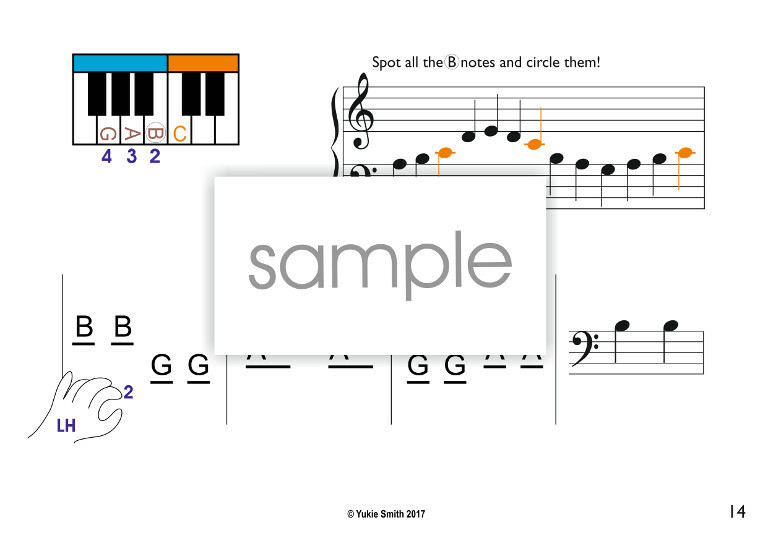 Aimed for piano beginners aged 7 years old and above, to prepare for reading written notation in a musical way. 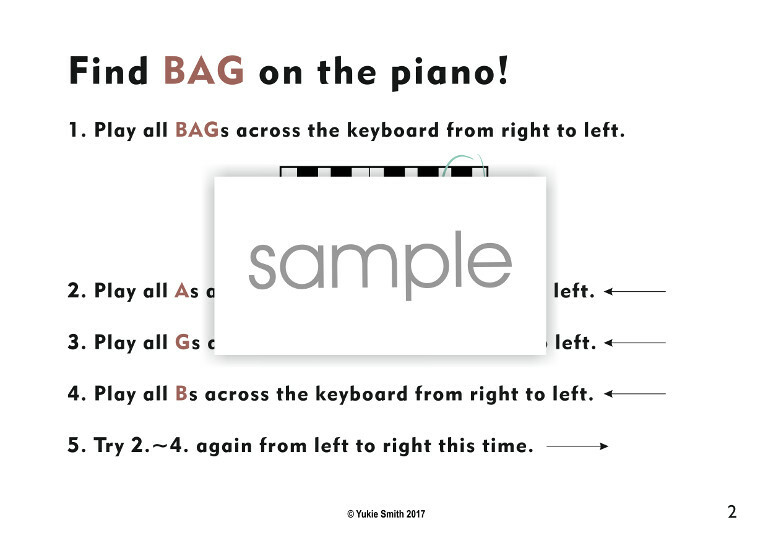 Rather than starting with the middle C, this book explores various melodic patterns based on the two words, BAG and FED (although, F is going to be introduced in Book 2 as a reading note). The middle C is simply introduced as a sign post note on the keyboard. This book is also suitable for those who's been taking piano lessons for a while but having problem with reading notation. Focusing on just three notes (BAG) for a half of the book give the students enough repetitive reading exercises. 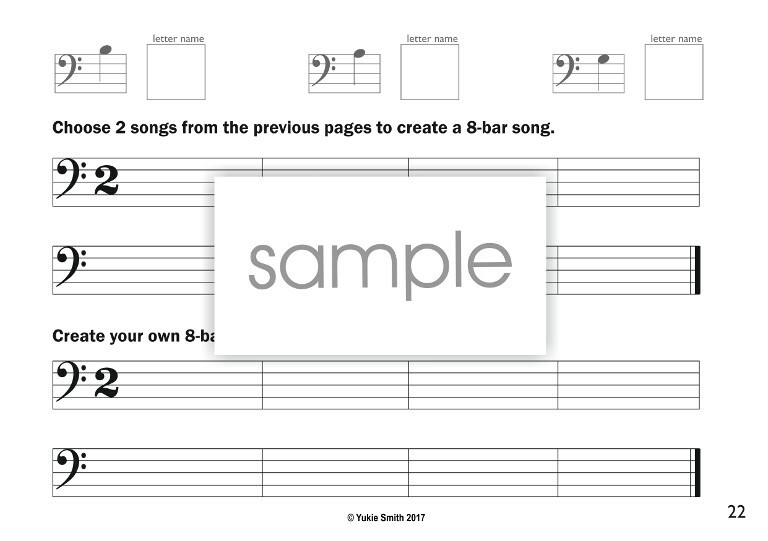 There're sections where students have a chance to write 8-bar songs. It's a useful creative activity to find out how imaginative they can be using just three notes! 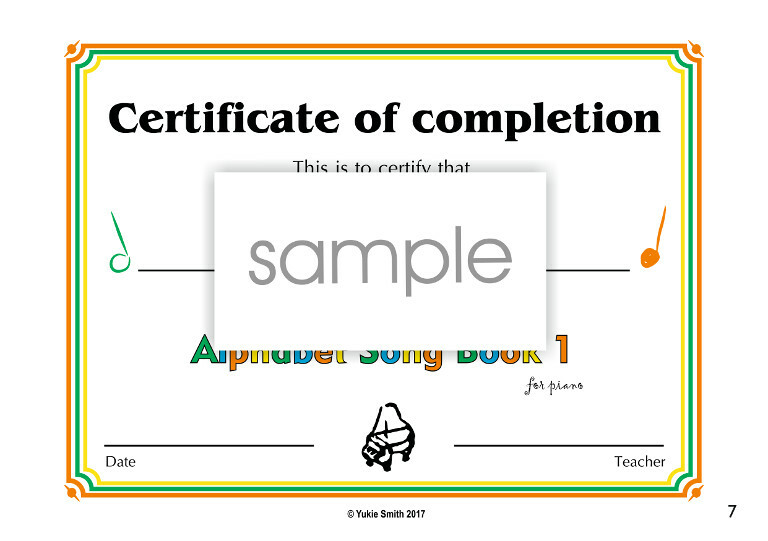 Note reading is gradually introduced; it begins with a note writing exercise followed by a spot-the-note-in-the-score game on every page, so the learners is always reminded which note they should know to be able to read and play each song. Notes used in this book are BAG & ED (G pentatonic scale), hence all the songs are in G major. As you may be surprised, this book starts with bass (F) clef reading. Hence, it's suitable for those who's looking for a way to overcome the difficulties in reading bass clef notation. Treble (G) clef reading is introduced in the second half of the book. It also exercises the students pattern recognition skill and coordination required for sight-reading. It's up to the teachers (or students even!) to decide how to use this book. There's always a scope of exploring other areas, such as dynamics, articulation, tempo, etc. as the learners feel ready for new challenges. For the earlier pages, the learners can try both hands, playing the same melody to cultivate the coordination between the hands. 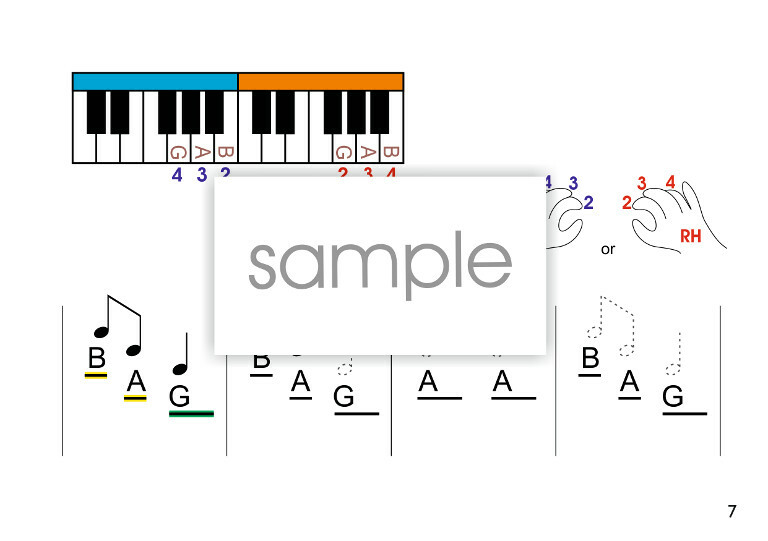 This also encourages students to be aware of melodic patterns rather finger numbers. 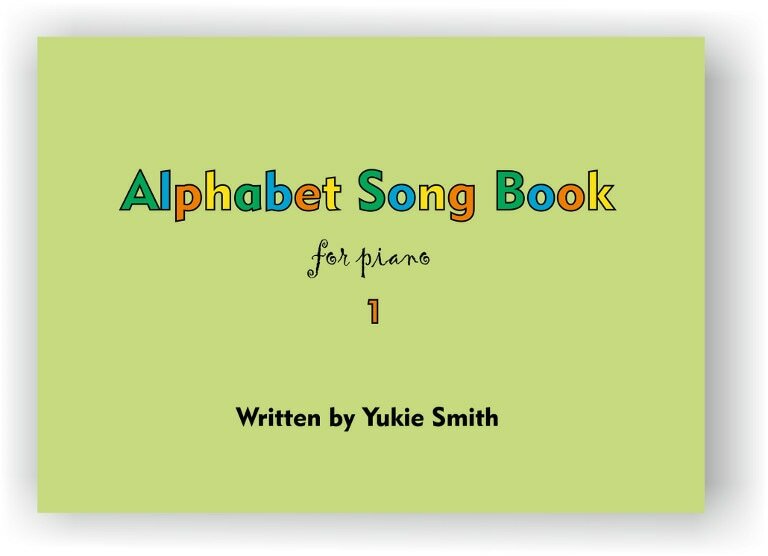 Here're some examples of how I'm using the Alphabet Song Book 1 in my piano teaching.